On the latest edition of Dog Works Radio, we discussed the service dog training program offered at Denver Dog Works. Training a service dog is a long process and at Denver Dog Works we take the time to develop a program that is suited for you. We do not offer “cookie cutter” service dogs where all the dogs are trained and then offer you one. At Denver Dog Works you are involved from the very beginning. The Dog Works Radio Show is hosted by well respected canine behaviorist, Robert Forto and the lead trainer at Denver Dog Works, Michele Forto. Dog Works Radio is brought to you by Twine Group Media and Dog Works Training Centers. The Dog Works Radio Show demonstrates through guests, call-ins, chats and social media how dog owners can have a balanced relationship with their dogs. Best Trick: Camp Counselor “Qyain” says I need to master picking up objects for my handler and then I’ll be the best. Arrival Story: I began training with Camp Director Michele Forto about a year and a half ago. When I began I was already 2 years old and my handler’s family decided that I was big enough to help my handler – luckily I passed Michele’s tests and was allowed to participate in her service dog program. Bio: I’m 4.5 years old and I get to go everywhere with my handler and I enjoy helping him meet new people and helping him pick up objects. 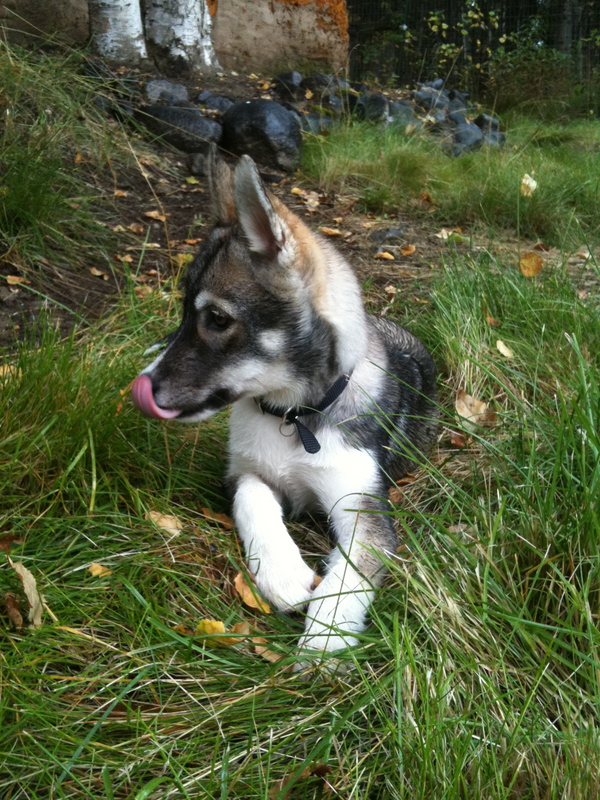 Trainers Note: As many of you know the Siberian Husky of Sibe as we call them have been a huge part of my life since getting my first one in 1987. His name was Axl (after the singer in Guns and Roses who was hugely popular at the time). This breed has captured my heart the primary reason I am a trainer today. I have competed in many events with my Sibes over the years including conformation, obedience, weight pulls, Canine Good Citizen, Service and Therapy work, and of course dog sledding. My plans are to run a competitive team of Siberians in the Iditarod in the near future. A lot is said about a training philosophy of a dog training school. Many times it is the first question that is asked when someone calls inquiring about bringing their dog to training. Philosophy means different things to different trainers but I assure you that if you don’t have a clear understanding of what yours is, you will lose customers. Many people searching for dog training fall into four categories and we will discuss those with regards to your training philosophy and see if you and your training school are positioned correctly to meet the needs of your clients and their dog. The first type of client is the most common. It is the client whose dog has just destroyed the three thousand dollar leather couch and this is the last straw. They have put up with their dog’s “bad behavior” for too long and need help. The second type is what I call the “big-box-store-rejects”. These are the clients that have attended a training class at a big box corporate training center and they just didn’t get their needs met. Think about it. Would you go to a doctor at a Wal-Mart? No. These training classes are great for socialization and basic manners but they are not equipped to fix behavioral problems. The fourth type is the client that enjoys working with their dog. They have lived through the puppy stage, the adolescence stage, and the problem stage and now they are ready to have fun! These clients are ready to take sports classes like flyball, agility or Rally, working classes like therapy dog training or Canine Good Citizen testing, and the like. There is nothing wrong with any of these four types of clients. These are the clients that keep you in business. These are the clients that are calling you because they need help. These are the clients that can bring you endless repeat business and referrals. But you have to meet their expectations and their training goals and this is where your training philosophy is so important. • Know Yourself, Know Your Dog. • A balanced dog is in a state of harmony with Mother Nature—as a calm submissive pack follower who is fulfilled physically with exercise, psychologically with rules and boundaries and limitations and emotionally with affection from his owner. • Teach my clients the highest level of connection between two species. • In terms of philosophy, teach my clients to choose a dog that is appropriate for them and their family. • Teach my clients to acknowledge some deeper reasons for getting a dog: are you imposing your own emotional needs on the dog—and missing what your dog actually needs as a result? • Teach my client the difference between discipline and punishment and how to set rules and boundaries and limitations on their dog. • Teach my client what goes on in the canine mind and develop a stronger, more fulfilling relationship with their best friend and give back to their dog just a fraction of the many gifts he has given to you. 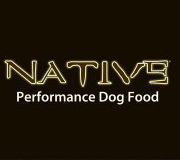 Our training philosophy at Denver Dog Works is not only a procedure but a lifestyle. I have learned in the nineteen years of literally living with a pack of dogs and on the sled dog trail that it has offered me a unique perspective. There I was forced to examine my attitude about everything including my dogs. I was constantly challenged to become more open to the language dogs use to communicate with us. This experience confirms our deepest intuitions about the relationship of human beings not only with their dog but every aspect of their lives. I hope to foster my clients with a diverse and varied understanding of the environment for which they live. I hope to foster a more realistic understanding of their dogs and an increased awareness of the benefits of their companionship. Drawing on my experience as a kennel owner of 50 Siberian Huskies I will teach my clients how dog training goes far beyond the elementary instruction of basic obedience; as it must encompass a whole new attitude and lifestyle with their dog. It must touch on the levels of a dog’s own life that are often ignored. In conclusion, I will bring my client into the world of a dog musher, canine behaviorist, and father of three by using my experience as a lens through which they may broaden their understanding of their dog. The stage will then be set for a balanced, lasting relationship between them and their best friend. 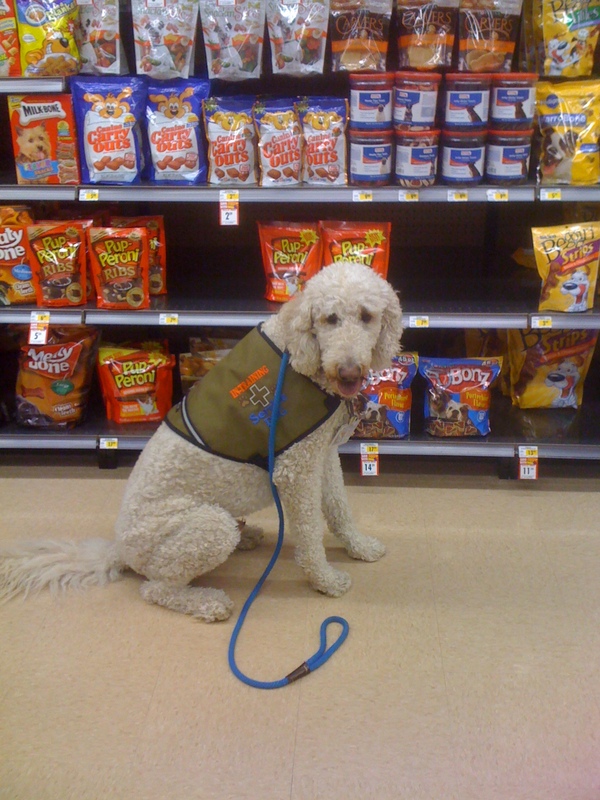 Training service dogs is intensive, time consuming and fulfilling. Many factors come into effect. 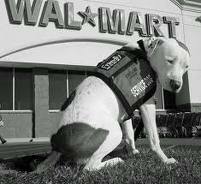 The things we take for granted must be taken under consideration when going public places with your service dog. No matter the reason for your need of having a service dog – considerations when flying are of the utmost concern. Getting to the airport, maneuvering through the parking lot and ticket lines, security, and finally making it to your gate means you and your service dog will encounter several people, carts, luggage, benches, and other large unfamiliar objects, sights, sounds, and smells. The environment can be overwhelming and send your dog into a stimulus overload. If you travel often – consider taking your service puppy in training to public service transportation hubs often. Bus stations, subways, light rail, and airports. Just going and exposing a puppy to the sights, sounds, and smells, people, luggage etc. can turn an overwhelming experience into one of complacence. When you travel by air, be sure to expose your puppy to people in uniform, security personnel may pat your dog down – be sure to kindly ask them not to play with your puppy or dog as to not energize them and to keep them calm. It’s a good idea when making your travel plans to notify the airline and hotels that you are traveling with a service dog so that proper accommodations can be made for you in advance. Be sure to take your dog on a potty break before you enter the airport and if you are going to be there more than the standard 2 hours it takes, make arrangements with the Red Carpet Club to get an agent to take your dog out to the tarmac to go to the restroom. Always keep in mind that things might not go as planned. Frequent visits to train will make the experience better for you and your dog and it will give some of the staff at the airport to become familiarized with you which makes the experience much more relaxing.